GTA 5 PC Error - Unable To Detect Windows Media Player - KABALYERO - PLAY, BLOG & EARN! 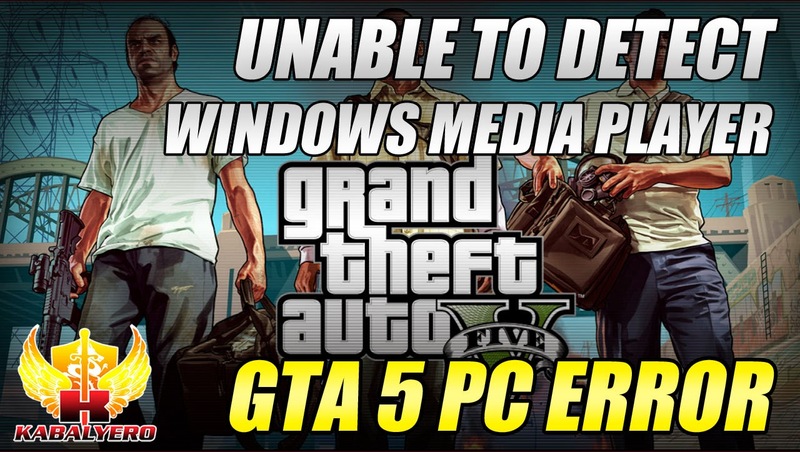 GTA 5 PC Error, Unable To Detect Windows Media Player... this is an easy error to fix. GTA 5 will let you play your own music on the radio but if you don't have Windows Media Player installed in your PC then you will most probably get an error message during GTA 5's installation. The error messages is, "Unable to detect Windows Media Player on your system. Please install Windows Media Player, then retry the installation". Obviously, the fix to this error is already mentioned in the error message itself. So, just install Windows Media Player and, after that, try installing GTA V again.